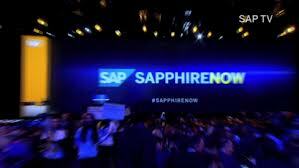 A couple of weeks ago, I had the opportunity to attend Sapphire 2013, SAP’s annual user conference. As is the norm for these events, SAP opened the fire hose to reveal new directions, product and solution announcements, and partner and customer wins through a myriad of meetings and sessions. Rather than attempt to drench you with the full blast, I’ll focus this post on what I see as most relevant for SAP’s direction in the small and medium business (SMB) space. SAP is betting big on its HANA platform, which began life in 2010 as an in-memory database and has quickly evolved to become SAP’s “development platform for innovation,” for both SAP and third-party developers. SAP Business One on HANA. Business One is SAP’s ERP solution for small businesses and for departments in larger companies. The solution integrates core business functions, including financials, sales, customer relationship management, inventory, and operations, and includes embedded analytics and reporting capabilities. SAP offers Business One both as an on-premises offering or via a cloud-based subscription model. 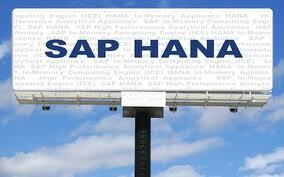 In September 2012, SAP announced SAP Business One analytics, powered by SAP HANA. This solution provides a Linux-based HANA analytics appliance for companies running SAP Business One on a Windows server with Microsoft’s SQL database. At Sapphire, SAP introduced a new offering, Business One, version for HANA, slated for availability later this year. This version runs directly on HANA, enabling both the transactional (ERP) and analytical applications to run on the same Linux-based server. By running both ERP transactions and analytics on a single platform, Business One version for HANA speeds access to information for analytics, reporting and search, without slowing down transactional processing. SAP Startup Focus Program, which enables startups to build solutions for small businesses. SAP has engaged over 430 startups to use HANA as a platform to develop user-friendly real-time analytics and advanced predictive solutions. For instance, Vish Cancron, CEO of Liquid Analytics, talked about his company’s cloud-based, mobile analytics applications for iPhone, iPad, Blackberry and Android users. As Vish explained to me in this video discussion at a prior event, Liquid Analytics uses gamification and predictive analytics to help make it easier, quicker and more fun for wholesale industry sales reps to place orders and set and meet sales goals. SAP HANA One. SAP has partnered with Amazon’s Web Services Cloud to offer a pay-as-you model for trying and using HANA. SAP claims that users can import data and get up and running with HANA cloud in as few as 5 minutes. HANA One is designed for analytics professionals, SIs and ISVs, supports up to a 30 GB compressed data set, and is priced at one dollar per hour per user. While most SMBs don’t have analytics professionals, HANA One gives SIs and developers an accessible, affordable mechanism to develop and test new HANA apps for SMB customers. SAP has also created an online and community support network to help SMBs get started and navigate their way through a HANA One instance. Home-brewed SAP ERP solutions such as Business One, Business All-in-One, Business Suite and of course, cloud-only Business ByDesign. Acquired cloud solutions such SuccessFactors and Ariba. Afaria, SAP’s mobile management platform, which SAP announced at the event is now available as a cloud-based service, branded as Afaria in the Cloud. SAP HANA One Premium, an advanced version of SAP HANA One with the same data compression rate but with greater accessibility to SAP source data, all SAP backend systems, data integrators and full SAP Support. SAP also offers customers a choice of running some of its ERP solutions in either a public or private cloud environment, and a choice of cloud providers as well. For instance, customers can choose to run Business One in Amazon’s AWS, or in SAP’s HANA cloud center, an SAP partner’s cloud, or in a private on-premises cloud. Notably, SAP revealed that it’s own HANA Cloud Center has the capacity to accommodate all of its current installed base customers. This gives existing customers a convenient on ramp both to move ERP solutions to the cloud and gain the power of HANA in one fell swoop–and underscores just how important the cloud is to enable SAP’s HANA strategy. Let’s face it, SAP is not known for user-friendly software or contracts. 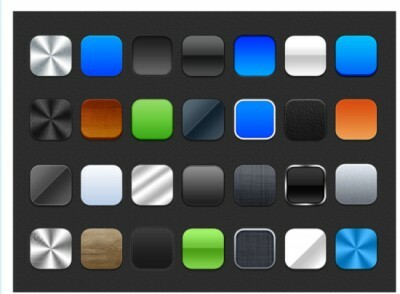 But the company is on a quest to improve customer experience by making its solutions more accessible and user-friendly. SAP is also expanding its portfolio of rapid deployment solutions (RDS), which offer fixed cost, fixed scope preconfigured software, best practices and implementation services that give customers everything they need to get up and running on midmarket solutions such as Business All-in-One in just a few weeks. SAP currently offers over 900 rapid-deployment solutions across its product lines. In addition to developing more appealing and streamlined user interfaces, SAP is trying to simplify pricing and contracts. When it comes to new solutions, SAP is aiming to get accessibility and ease of use right from the get go. For instance, SAP’s newly minted Afaria for the Cloud solution for mobile management sports a streamlined user interface and is priced at 1 Euro per user per month. At that price, the solution should be attractive for even very small businesses that need to manage mobile devices get an affordable solution. It also opens the door for SAP to prove its worth, develop a relationship, and sell other solutions to new small business customers. Attracting new customers, growing revenues, and increasing profitability are perennial challenges for all SMBs. As revealed in SMB Group’s 2012 SMB Routes to Market Study, about one-quarter of SMBs sell goods and services to large enterprises. These B2B SMBs want a bigger share of the billions of dollars that large businesses spend annually on goods and services. 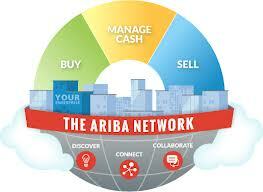 SAP is shining the spotlight on its Ariba business commerce network as a means to help them reach this end. SAP provides all of its Business One customers with a free connection into the Ariba network, and any company, whether an SAP customer or not, can enroll as a Supplier on the cloud-based Ariba Network. Once enrolled, SMBs can connect and collaborate customers, partners, peers, and prospects. Ariba gives SMBs another way to provide more value to its existing SMB customers, and an additional entry point to bring non-SAP SMBs into the SAP fold. We’ve all seen how quickly innovative, fast-growth start-ups can become marquee brands. SAP understands that the creation-destruction cycle for businesses in hyper-drive, as underscored by the story of Under Armour, a featured customer and keynote panelist at Sapphire. Kevin Planck, Under Armour CEO, discussed how he founded the company in his basement in 1996 to design T-shirts that would wick moisture to help athletes stay cool and dry. He also talked about how Under Armour has evolved and grown, and how SAP has helped the company achieve twelve consecutive quarters of 20%+ growth. SAP is betting big on becoming the leading IT solutions provider for these high-growth SMBs, which SMB Group call Progressive SMBs. Progressive SMBs are growth driven, and more likely to invest in and use technology to gain market and competitive advantage than other SMBs. Our data shows that Progressive SMBs are also much more likely to anticipate revenue gains than peers whose tech investments are flat or declining. SAP’s strategy to target Progressive SMBs with leading edge technologies that provide clear business benefit should help it to tap in more deeply to this segment. As important, SAP seems to be making an authentic effort to consumerize the SAP experience by reducing friction in choosing, buying and using SAP solutions. In our 2012 SMB Routes to Market Study, 42% of small businesses rate “solution is easy to use” as the top reason to put solutions on their short lists. SAP is addressing this challenge with a commitment to the cloud, tight integration to HANA within business applications, and focus on bringing new, easy to buy and use applications to market. Although SAP isn’t likely to become the volume leader, the company is charting a leadership course to engage fast-growth SMBs–who also have the potential to become high-value SAP customers–with a differentiated and compelling story.